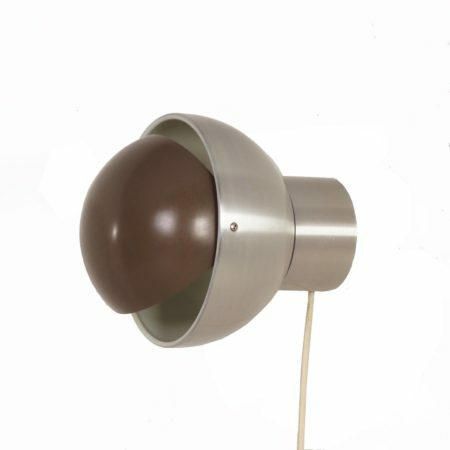 Raak Radboud wall lamp designed in 1966. A knightly wall light, a brown visor in a white helmet. Place the visor horizontally, vertically, underneath, above or in the middle. Good for direct light or indirect light, reading light or decorative light. The name Radboud comes from a Dutch Knight Radboud (not Radboud van Beekum). Considering its age in very good and original condition. Big screw bulb holder, lamp up to 100 W. Source Touch Catalogue 8, page 11 (see pictures).